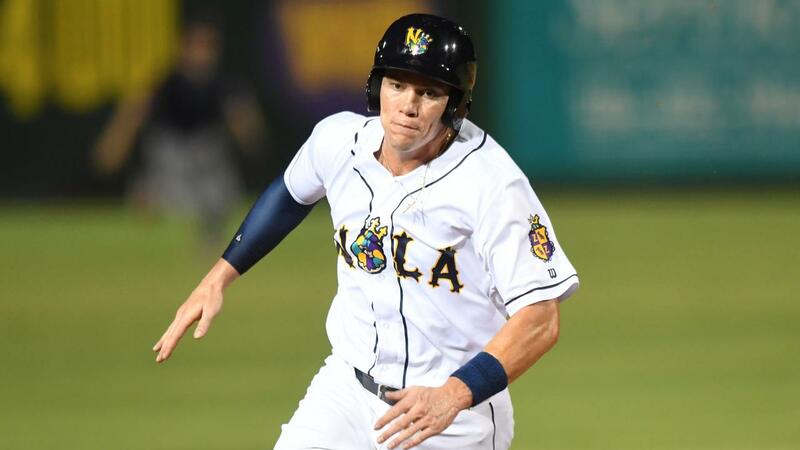 The New Orleans Baby Cakes scored twice in the seventh inning and twice more in the eighth, overcoming the Omaha Storm Chasers 6-4 on Sunday night. By claiming the penultimate game of the year, the Baby Cakes head into Monday's season finale at 69-69 with a chance at only their second winning campaign in the last 11 seasons. Omaha struck quickly for a 2-0 lead when Frank Schwindel led off the second with a double and Paul Orlando slugged his 11th home run of the season. Jon Rodriguez responded in the bottom half with a solo blast, his 14th of the year to lead all Baby Cakes and slice the deficit in half. 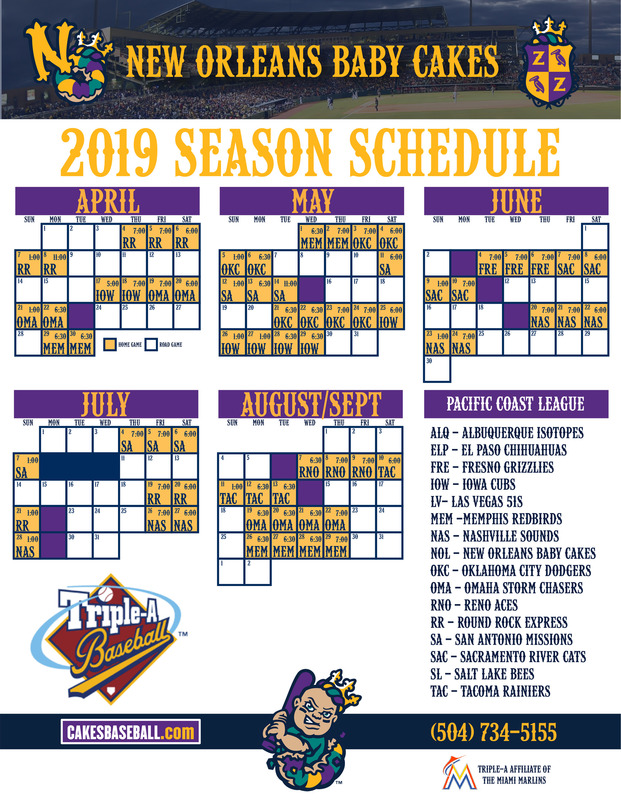 The teams traded runs in the next two frames and Omaha carried a 3-2 advantage into the seventh, when Nicky Lopez singled and advanced to third on a two-base error by Braxton Lee, then scored on a ground out by Schwindel. New Orleans rallied to tie the game in the bottom of the inning. With two outs and the bases loaded, Peter O'Brien laced a two-run single to right field to knot the score. An inning later, the 'Cakes put runners at the corners with one out and Chasers reliever Josh Staumont was called for a balk to bring in the go-ahead run. Chris Bostick then delivered an insurance tally with a sinking single to center. Tyler Cloyd (6-5) scattered a run and four hits over the final 4 1/3 innings to earn the win for New Orleans after Elieser Hernandez and Jarlin Garcia worked the first 4 2/3 innings on rehab assignments from the Marlins. In his Triple-A debut, Hernandez gave up five hits and three runs (two earned). Garcia followed with two scoreless frames. Sam Selman (0-2) was charged with both runs in the eighth inning and took the loss for Omaha. New Orleans concludes its 2018 season on Monday at 12 p.m.